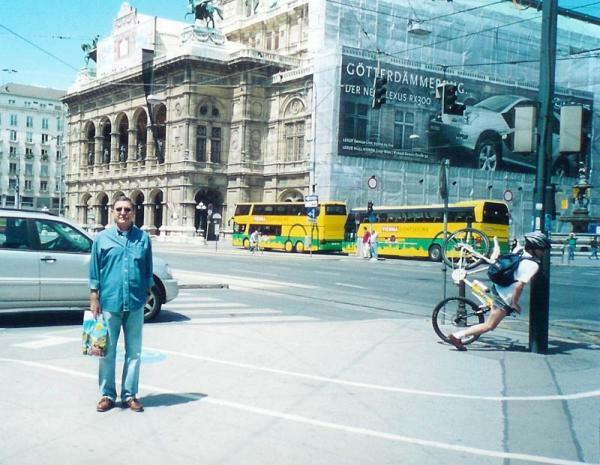 I laugh at that guy’s misfortune!! My gut hurts from laughing. Lexus is advertising the rx300 in germany by calling it the apocalypse? Maybe it the advert is referring to “Twilight of the gods” (rather then just a general apocalypse) implying that the new Lexus is more powerful then the gods and will cause their downfall. Oh, and that’s the Vienna state opera house that the sign is on.